3 Generations of structural packaging for players and accessories. The Zune online and device experience was developed around the sharing of personal content, opinion and tunes. Zune represents the warm, tactile originality of the personal experience and reflects the individuality and world of the user. Where other brands are sanitary and cold, Zune is engaging and welcoming; the product lets users shape their media collection on their own terms. 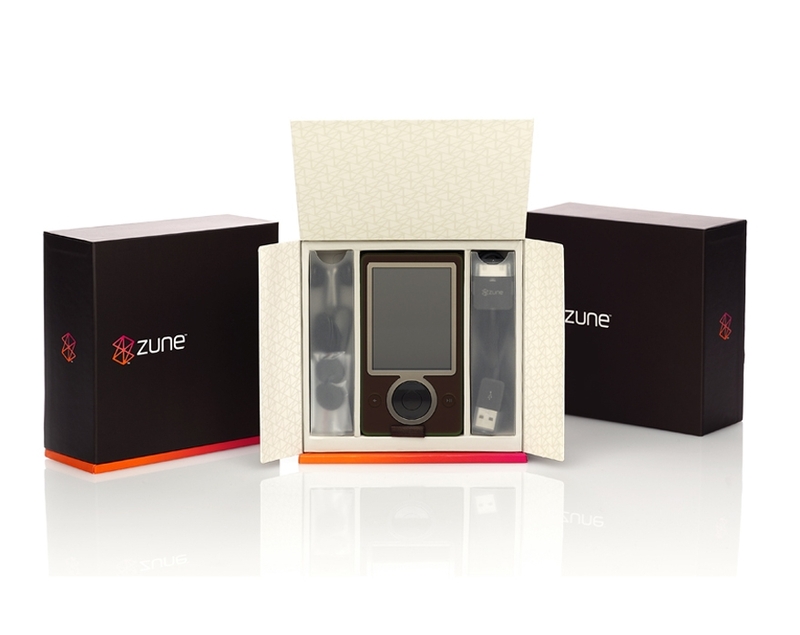 The packaging needed to reflect these characteristics and provide a unique moment of interaction and resonance between the consumer and the Zune brand. Swerve explored a range of packaging concepts that layered the reveal of the product and orchestrated the theatre of first-time use. Form, proportion, materials and details were designed to evolve as moments of pleasure, hinting at the deeply personal nature of the Zune experience. The first-generation player launch packaging set the tone for the brand. A sumptuous opening experience unveiled the personality of the brand as much as the player itself. Internal surfaces were printed with friendly messaging, and an intuitive format had little of the unexpected about it. 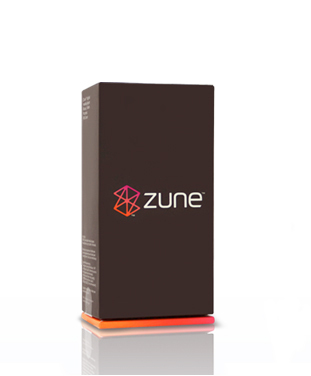 Swerve worked closely with the Zune team and the manufacturers to ensure that the packaging was executed to the highest standards. Over three generations of players and two lines of accessories, Swerve helped Zune develop and amplify the DNA of the brand through the packaging design.